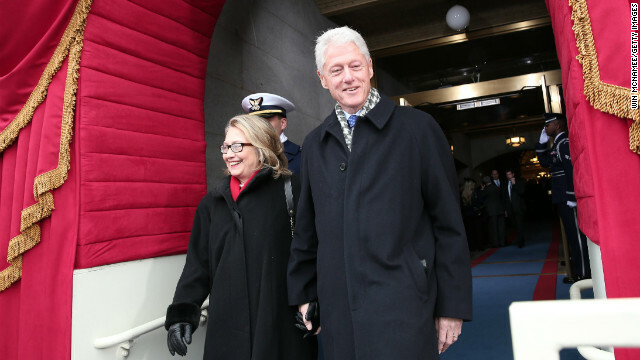 (CNN) - If it's a honeymoon period, they might order separate rooms. 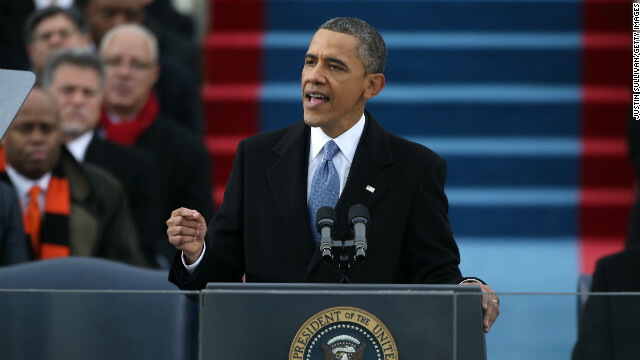 "One thing that is pretty clear from the president's speech yesterday: the era of liberalism is back," Senate Minority Leader Mitch McConnell said of President Barack Obama's inaugural address, which he called "unabashedly, far left of center." 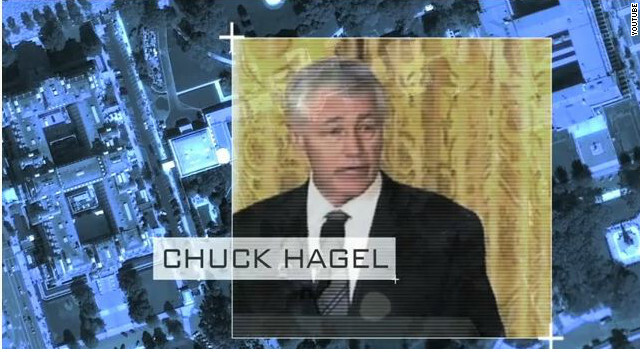 (CNN) – Groups opposing President Barack Obama's pick for defense secretary, former Sen. Chuck Hagel, released new television ads Tuesday with dire warnings of what they think could happen should Hagel be confirmed. The first spot, from Americans for a Strong Defense, uses themes that mimic a movie trailer for a spy/action thriller. The 30-second spot says "we live in a dangerous world" and points to threats from Iran, North Korea, and "even Russia." 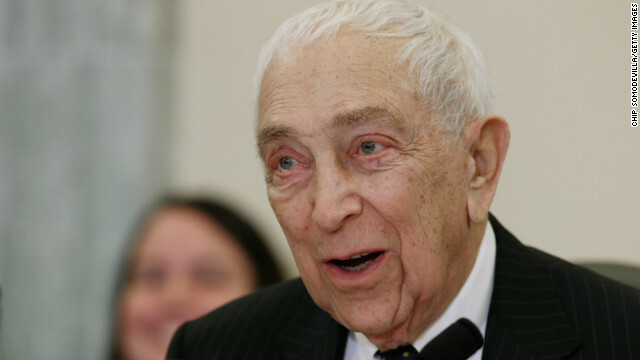 (CNN) - Sen. Frank Lautenberg of New Jersey, who has announced no plans to retire, suggested that a fellow Democrat was out of line for asserting interest in Lautenberg's seat. And on Tuesday, he suggested he knew just how to deal with Newark Mayor Cory Booker. 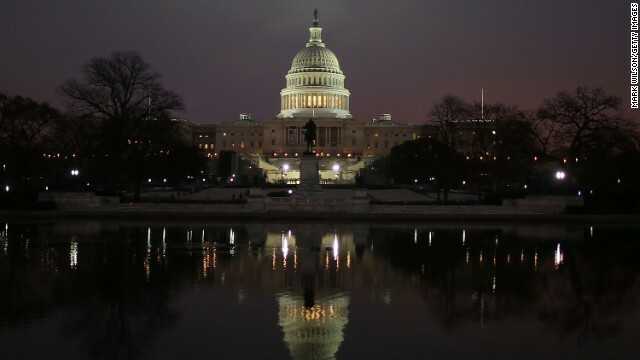 (CNN) - Republican members of Congress plan a host of questions for Secretary of State Hillary Clinton during her long-awaited testimony on Wednesday about the deadly attack on the U.S. diplomatic compound in Benghazi, Libya. Questions are expected to range from a security vacuum in Northern Africa to new cables suggesting that Ambassador Christopher Stevens, who was killed in the September 11 assault, once proposed moving the compound to a more secure location adjacent the CIA Annex, sources tell CNN. Washington (CNN) - Pop star Beyoncé opted to use a "pre-recording" of her rendition of the National Anthem during inaugural ceremonies in Washington Monday, a spokeswoman for the U.S. Marine Band told CNN Tuesday. U.S. Marine Band spokeswoman Kristen DuBois said early Tuesday that "we know why the decision was made," adding that the pop star "did not actually sing," but instead lip-synched her own voice. Washington (CNN) - As he ran through the inaugural parade Monday shaking hands and hugging bystanders, Vice President Joe Biden looked just like a candidate on the stump. Will he be one come 2016? Biden told CNN Chief Political Analyst Gloria Borger "I haven't made that decision. And I don't have to make that decision for a while." Biden has been pretty active politically these last few days around the inauguration: attending an Iowa ball Saturday evening (where he first accidentally said in his remarks he was proud to be president and then corrected the flub), inviting New Hampshire's governor to his official swearing-in on Sunday and hosted some Democratic National Committee members Tuesday for a reception.